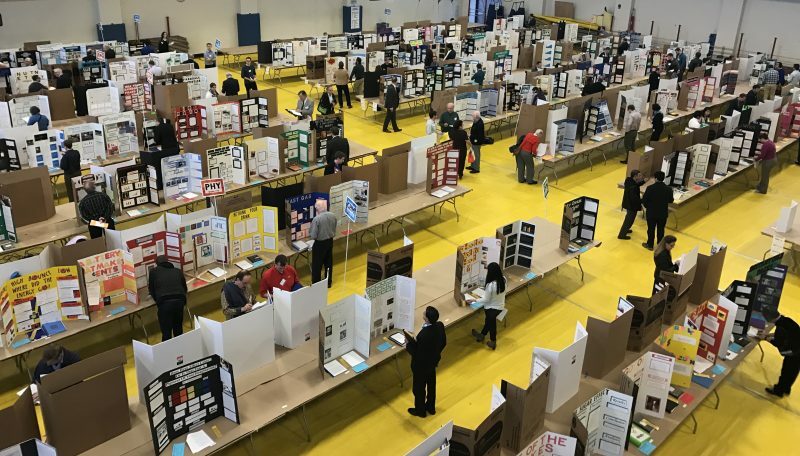 The goals of the Gelfand Science, Engineering, and Maker Fair program are to increase student participation in and raise the quality of school science, engineering, and maker fairs. All public, private, charter, and parochial schools in Cuyahoga, Lorain, Medina, Summit, Portage, Lake, and Geauga counties are eligible to apply with priority given to schools in those districts designated as “high-needs” by the Ohio Department of Education. 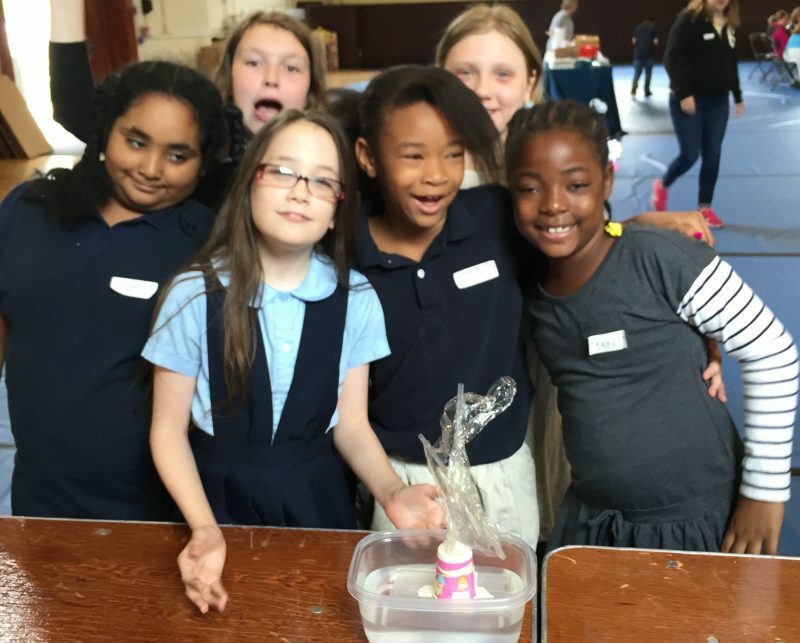 Funded by the Leonard Gelfand STEM Center, teachers may request up to $1,000 to support a fair in their school. Applicants proposing fairs with up to 75 students may request up to $500, those proposing fairs with 75-100 students may request up to $750, and those proposing fairs with more than 100 participants may request up to $1000. We anticipate funding 8-10 fairs in the 2018-19 school year. Gelfand awardees are expected to hold their school fair by May 3, 2019. Gelfand awardees must fully participate in program assessment. This will include each student completing a short Experimental Design Aptitude Test and attitude survey, both pre and post. Gelfand awardees must complete a brief report on the outcomes of your school fair including an itemized list of expenditures. This information is used to document the impact of the program. Reports must be submitted by May 24, 2019. Funds are held by Case Western Reserve University. Teachers may elect to purchase approved materials and submit receipts to CWRU for reimbursement. To minimize out of pocket expenses, it is recommended teachers order supplies through CWRU and have them delivered directly to their school. Gelfand Science and Engineering Fellows are available to mentor your students as they plan, prepare, implement, and present their projects. Gelfand Fellows are CWRU undergraduate and graduate students trained to work with K-12 students in project development, experimental design, data analysis, and data presentation. All Gelfand Fellows have passed both BCI and FBI background checks and have successfully completed a 9-hour training program that provides tools and strategies for working with students at every stage of the project process. The Gelfand Equipment Loan Program is intended to provide tools students can use to complete science fair projects. A variety of basic laboratory equipment (balances, thermometers, water baths, etc. ), probeware, and other materials are available. Inquire for details. Think[box] is CWRU’s new invention center that provides a space for anyone to tinker and creatively invent. Combining the latest in digital technology (3D-printers, laser and vinyl cutters, circuit board router, large format printer, the fanciest sewing machine you are ever likely to encounter), with traditional shop tools, think[box] is a one of kind fabrication space. Inquire for details on how to access think[box]. Click here for an application (PDF) Contact Jim Bader for more information (jxb14@case.edu; (216) 368-­5289).